Who is going to be picked? Who is going to change brands? Will there be a trade? These are all questions that remained open when speaking of the WWE Draft. Back when WWE had 2 exciting brand extensions, the list of questions and intrigue leading up to the draft were endless for wrestling fans all around the world. Raw always has been and will continue to be the No. 1 show on WWE programming, while SmackDown, which currently and traditionally draws lower ratings than Raw, is the “land of opportunity”. Post-WrestleMania is usually the beginning of a new fiscal calendar in WWE, where many things start fresh. A few years back it was the grand return of Brock Lesnar, which again was leaked online prior to the event. This seems to be the perfect time to add fresh faces and implement new ideas being on WWE programming. 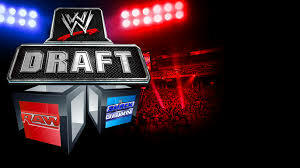 In spring 2002, the WWE created the brand extension and held the very first WWE Draft. This essentially divided every WWE Superstar, Diva and personality into two separate rosters. Drafting half of the roster to each show was a way to produce unpredictability, along with providing some very exciting entertainment as well. While this was a work in progress, it marked the end of the Attitude Era and introduced the WWE Universe to the Ruthless Aggression Era. Some may not find this believable, but at one point, SmackDown was just as popular as Raw. Both shows competed against one another for bragging rights and superiority. On the March 25 edition of Monday Night Raw, history would take place as the process of the first draft was explained. The wrestlers were shown sitting around in the locker room waiting to hear their name called and prepared to come out to the fans for a crowd reaction. Just for some memories, I looked up the following list of draft picks below. We all know that the current storylines are stagnant and boring. We live in an internet world where everything is predictable and spoilers are leaked online all the time. How can we add a little more suspense to the shows? I say bring back the draft in 2015 and separate the two brands. The draft would serve as a focal point after everyone is force-fed the One-Time Return for an over-aged superstar at WrestleMania and the predictable results of the Royal Rumble. On top of that, NXT could serve as even more of a focal point for younger talent, as they would be drafted as well. The intrigue for me as a fan is dwindling from week to week and I think this could really bring the suspense back. Thoughts? ****Come follow all my editorial articles along with many interesting minds at eWrestlingnews….. I would be all for this WWE needs to make a Smackdown into a brand which is on par with RAW heck do it the old way have SD have WHC,USA Champion,Cruiserweight,Tag Team and a SD Diva’s champion heck with all the Diva’s on the current Roster it would make sense and not to mention how huge Sin Cara and Evan Bourne could of been in a Cruiserweight division plus it would be great for Sami Zayn and Adrian Neville when they make it to the main roster. Ziggler,Barrett,Sheamus,Kofi Kingston,Luke Harper could all flourish if they were given proper in ring time.